Pines There are 2 products. 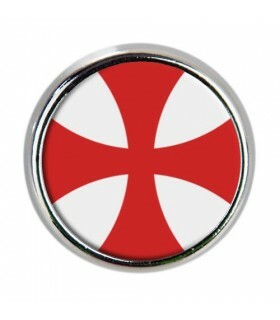 Metallic pin to hang with 'palomilla' type closure with Pate de los Templarios cross design. Measures: 1,9ø cms. x 1,8ø cms. 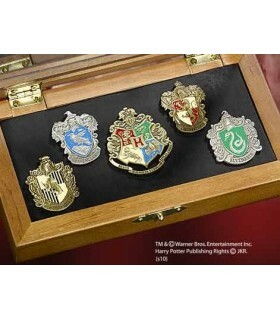 Set of 5 pins with shields and schools Hogwarts: Gryffindor, Slytherim, Hufflepuff and Ravenclaw. It includes box.